High Tone Auto Body Inc. Thank you SO much for all your help with my car fiasco! I cant thank you enough for making the esperience MUCH better than it could have been. 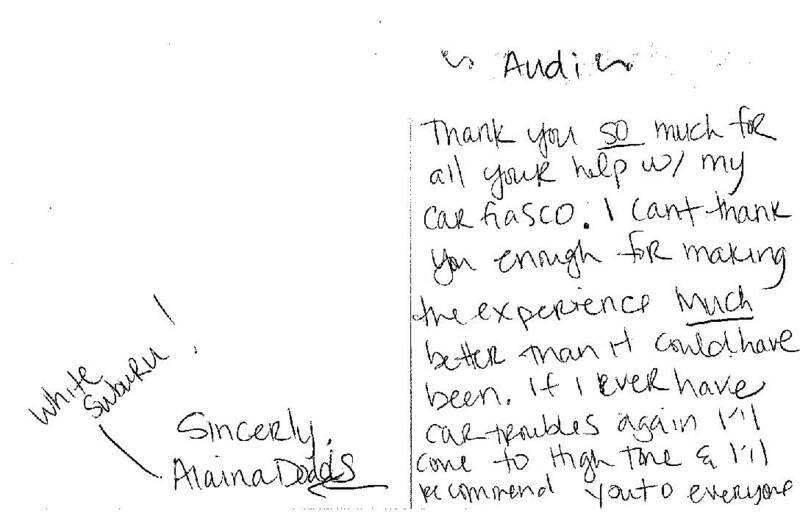 If I ever have car troubles againI’ll come to HIgh Tone and I’ll recomend you to everyone!